A Pew Research report that shows 40 percent of American households are supported either solely or primarily by a working mother reflects changing views of gender roles in our society. 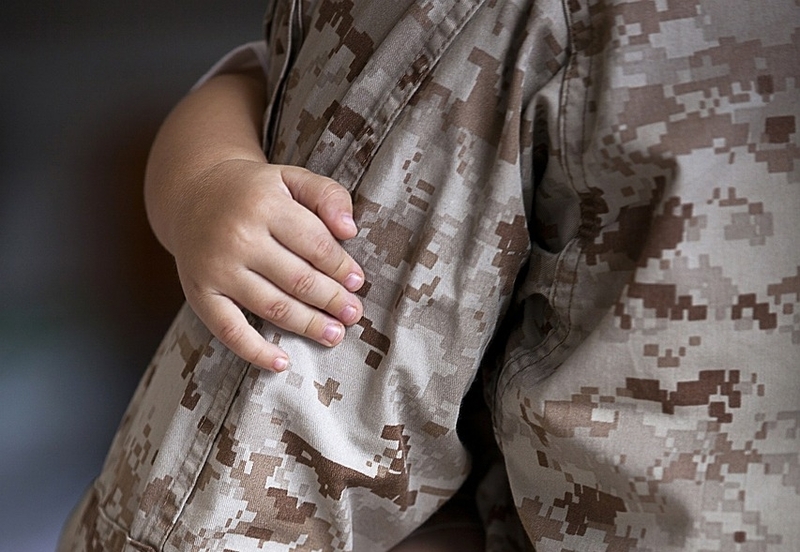 But it also partly explains dramatic shifts in the military-family culture — and in particular, how it relates to fathers—that have taken place in just one generation. I have been a military dependent since I was born in 1976. My Navy dad, who was away on his first deployment, received news of my arrival through a telegram: New baby girl. Named Sarah. Mother and baby doing well. Twenty-two years later, when I married my own Navy pilot, my dad had accumulated 11 years of sea time. He had literally been gone half my life. Yet, it never seemed strange that Dad missed my birth and, later, most of my recitals and track meets. Many fathers of the late 1970s and early ’80s, military or not, missed these things. They were too busy being breadwinners; “kid duty” was a mom’s job. In 1976, some hospitals still did not allow fathers to be in the delivery room. My mom didn’t recognize the strangeness of that sparsely worded telegram announcing my birth until 23 years later, when I was pregnant with my first son and anxiously wondering if my husband would be at sea near my due date. “Can’t the Navy fly him home?” civilian friends asked. The answer, of course, was “no.” The military is the last American institution to follow societal trends. If my husband was at sea when I went into labor, he would stay there. I fretted over this until the day I went to the hospital and was positive my husband would be with me. He left two weeks later and missed most of our son’s first year, but at least I didn’t need a telegram to tell him he had a son named Ford. Last year, more than a decade after Ford was born and had been joined by two younger brothers, my husband left for a 13-month deployment. He missed seven family birthdays, two Thanksgivings, one Christmas, our anniversary, Little League games, and our youngest son’s first day of kindergarten. That spring, I looked around at a baseball game and noticed how many fathers were there. Some of them had left work early and were still in their business suits. Dads were at the parent-teacher conferences at school, too. Indeed, they seemed to be everywhere we moms were. Across the world, my husband was equally distressed about missing so much of our children’s lives. When he returned, he decided to retire when he gets to 20 years and find a job where he can be a full-time dad. (How many fathers said that in the 1970s?) As gender roles continue to evolve, this will become a problem for military retention. I’m not suggesting that men from my dad’s generation didn’t care about being a father. I know my dad missed being with us. Back then, however, society had different ideas about what it means to be a father. They expected Dad to earn a living, not look after the kids. We had food on the table, even if Dad was not there to eat it with us. My children don’t see it this way. Like so many other modern families, my husband and I both put food on the table, but only one of us is there night after night. Only one of us is there for everything, from school activities to Little League games. Historically, we’ve filled the gaps of motherhood with the creation of nannies and mothers-helpers. When a mother couldn’t “do it all,” we found ways to support her. Previously, when Dad couldn’t be around, Mom had to be enough. She was enough for every other family after all. But now that parenting is considered a full-time job for both Moms and Dads, I wonder, especially as it relates to the military, when and how will support systems develop for dads who can’t do it all? 5 Things I Learned During Year as "Single Mom"
Syndicated newspaper columnist Sarah Smiley is the author of Dinner With the Smileys (Hyperion, 2013) and Got Here as Soon as I Could (DownEast, 2015). Described as an "Erma Bombeck" by Publishers Weekly, Sarah is best known for her sometimes funny, always endearing tales of raising three boys. She and her family live in Maine.